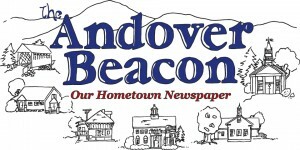 The Beacon is stored online exactly as you see it in print. The files are in PDF format, which means almost every computer in the world can read them clearly. In addition, the pages have been resized so each page will print nicely on a sheet of legal paper (8.5″ x 14″). To view any of these PDF files, just click one of the links below. To fend off the “spambots” that harvest e-mail addresses from Web pages, we’ve protected all of the online Beacon pages with a user name and password. If you have a fast connection, you can download all the pages as a single PDF file (about 20 MB).